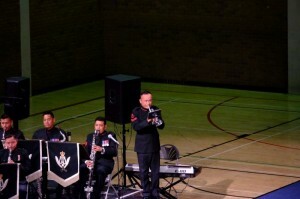 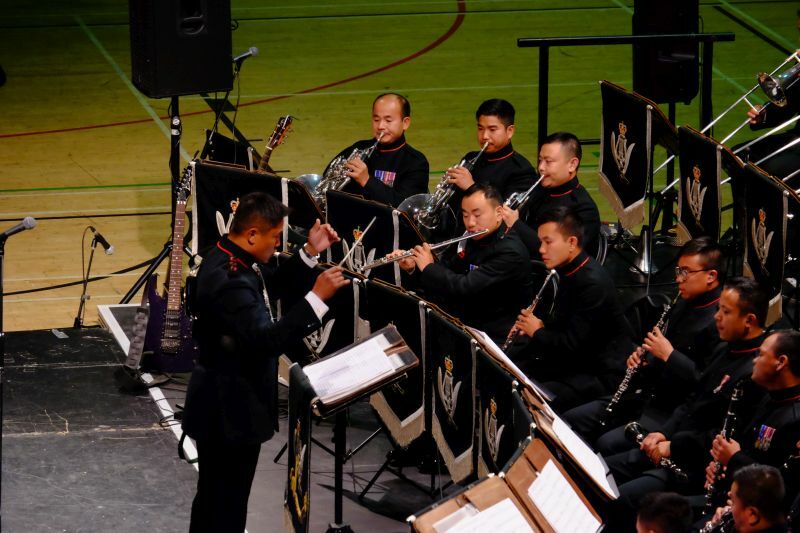 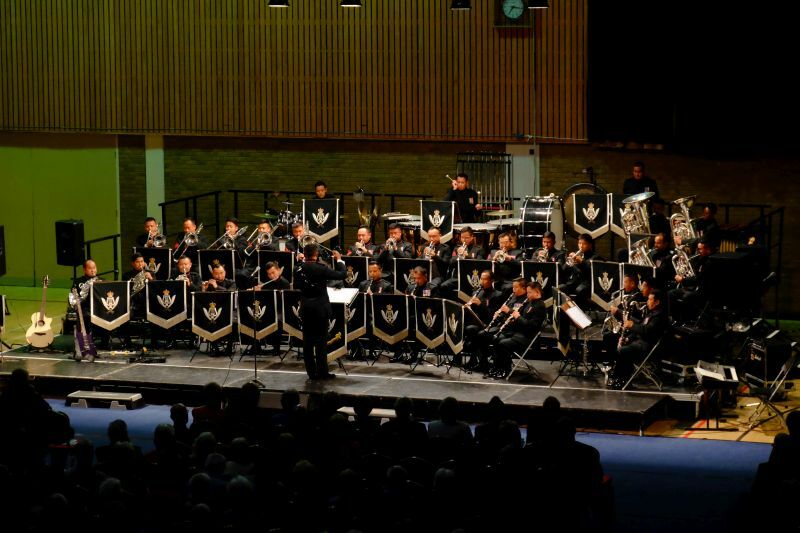 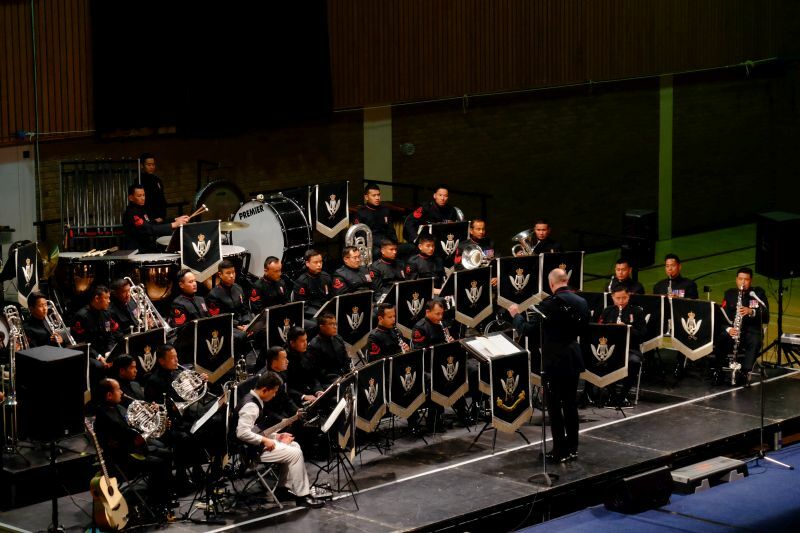 The Band of the Brigade of Gurkhas along with the excellent Pipes and Drums of the Queen’s Own Gurkha Logistic Regiment who were standing in for the Pipes and Drums of 2 RGR as they are currently deployed on Op Toral in Afghanistan, performed an excellent concert to a packed auditorium in the Dolphin Centre on the evening of 4th October 2016. 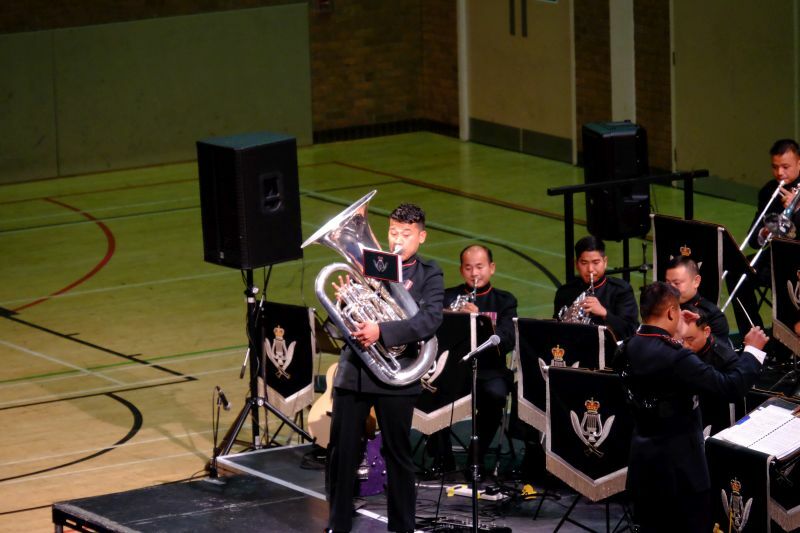 This was the 16th in an ongoing series of concerts from which all the proceeds are donated to the Gurkha Welfare Trust (GWT). 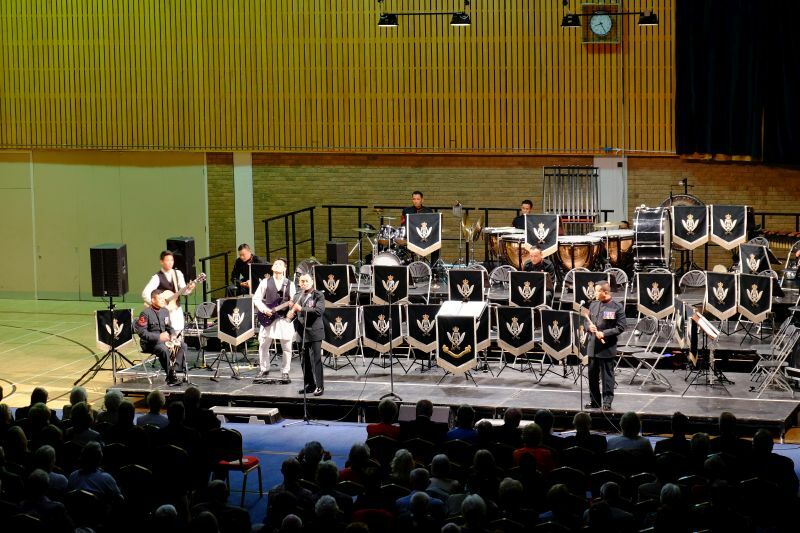 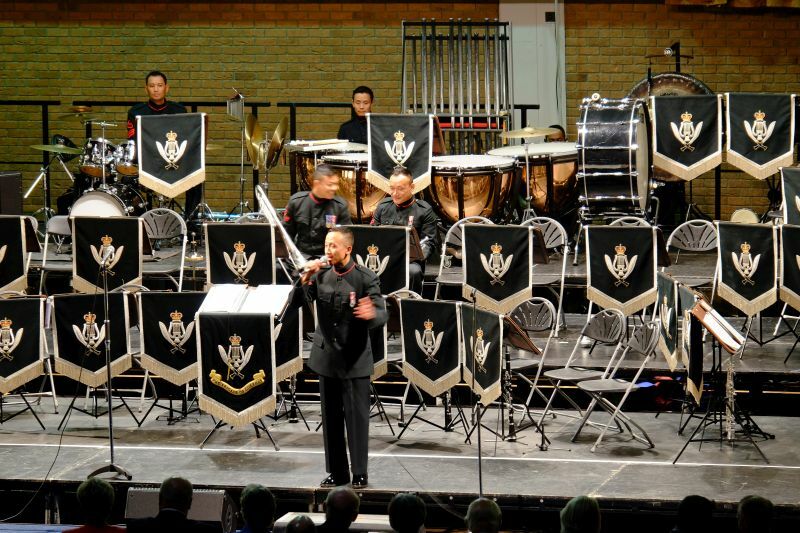 The Director of Music, Major Tony Adams, choose a varied programme of music and certainly had the audience entertained throughout. 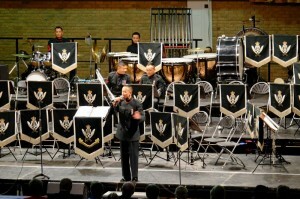 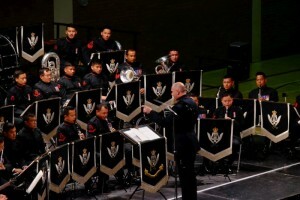 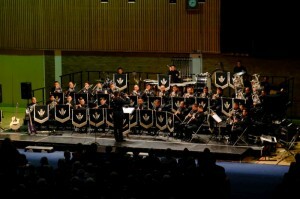 With music from Star Wars, Ireland, stage and show and with several solo items the band performed excellently. 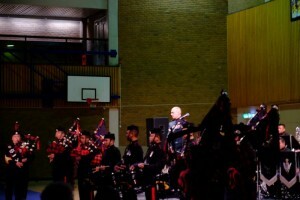 The concert also featured a pipes and drum set from the QOGLR and a couple of modern numbers from the band’s very own Nepalese Pop stars, ‘The Hill Boys’. 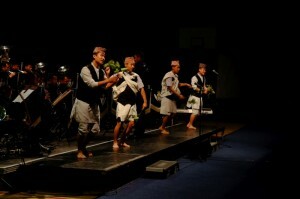 The second half also included the traditional Nepali dancers from members of the band. 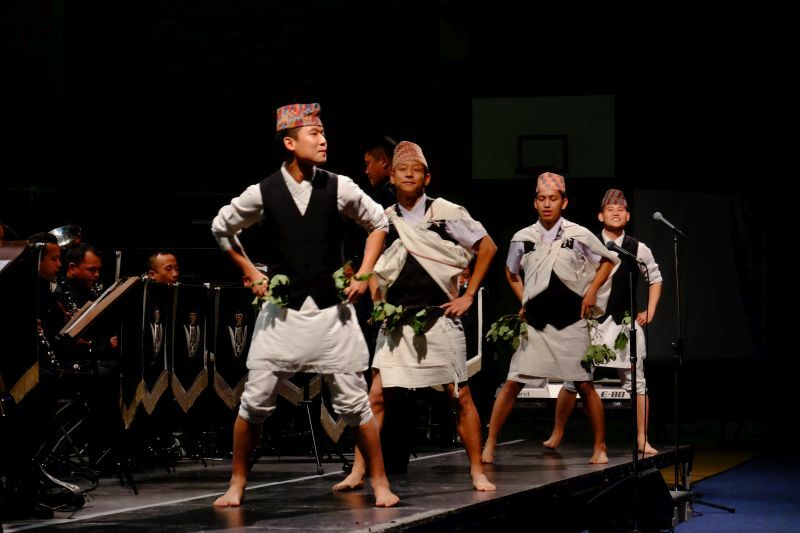 Money raised from the concert will go to the GWT and will help to continue there work in Nepal including the rebuild of hundreds of homes and several new schools that are required since the earthquake in 2015 which destroyed many homes and other buildings across a wide area. 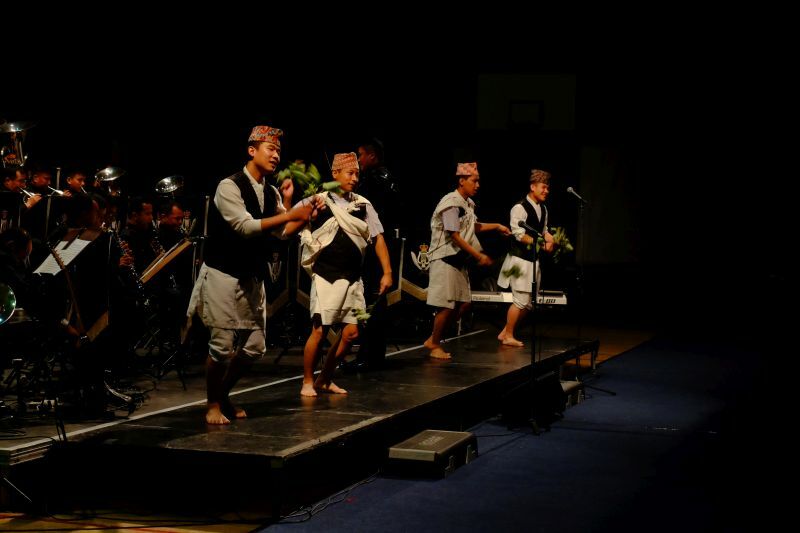 The GWT are also working on a number of other projects including a vital medical programme, the provision of residential homes, the provision of hardship grants, winter fuel allowance and the essential supply of clean water and sanitation. 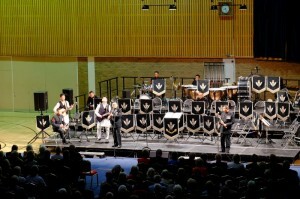 The concert would not go ahead with the very generous sponsorship by the Managing Director of Sherwoods, Alasdair MacConachie.